Candlelight Oaks is a quiet community, partially because we make security a collective priority. The COCC Board has a security budget for every year, raised by resident dues, and S.E.A.L. is who we’ve contracted to help keep our neighborhood safe. S.E.A.L. 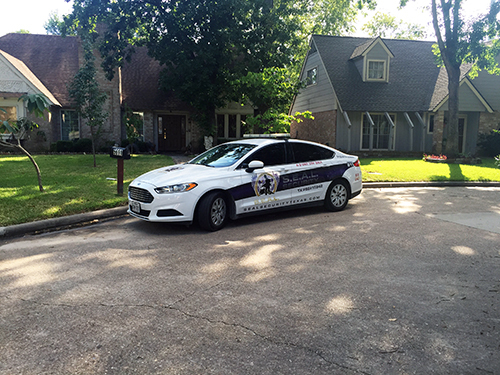 Security is a highly-trained patrol service that monitors our neighborhood to deter suspicious activity. As you’ll notice, the patrolmen are frequently accompanied by canines, have clearly marked vehicles, and will also patrol by foot, especially near the playground and alongside Cole Creek. If you are going on vacation, S.E.A.L. can put your home on “vacation watch“ so you can feel confident that your home is getting extra protection and surveillance while you are away. Neighbors, when you see something happening in your neighborhood, protect yourself first, then call 9-1-1, and then call S.E.A.L.